Coordinating set ideas: Use Mushroom Border or Gleeful Gardens to create a cute scene full of mushrooms. Or, build a house for a gnome with Mushroom House. 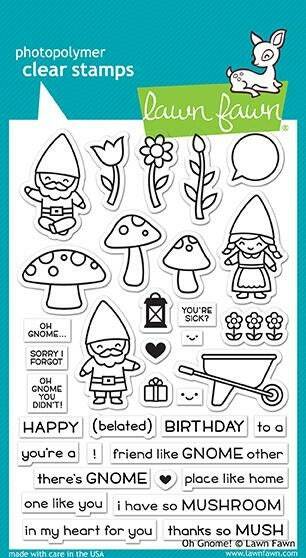 For a get well card, use Feel Better Line Border with the “Oh Gnome… you’re sick?” speech bubble.